S (Scripture): 1 Coronthians 13:1 If I speak in the tongues of mortals and of angels, but do not have love, I am a noisy gong or a clanging cymbal. 2 And if I have prophetic powers, and understand all mysteries and all knowledge, and if I have all faith, so as to remove mountains, but do not have love, I am nothing. 3 If I give away all my possessions, and if I hand over my body so that I may boast, but do not have love, I gain nothing. O (Observation): Paul has been harping on the idea of Christian community. He just finished up talking about how all members of the body of Christ are indeed ONE in the body of Christ. They have great need of one another. They are inextricably linked to one another. They are to see one another as helpful in their own ways. No one is more important. No one is less useful. Each has a place, regardless of prior background (Jew, Gentile, Slave, Free, etc). A (Application): How is this type of community lived out? In a word: LOVE. Love is the hallmark of the Christian. One who receives grace and mercy and love extends the same to the world, especially in the Christian community. Others who look in on Christian community wish to see how differently the Christian realm is will hopefully see a community rooted in love. This text is used quite often in weddings. I see nothing wrong with this use. I simply take the opportunity today to remind us all that this text was originally meant for how we are to treat one another within the Christian community. And maybe, by extension, how we might treat others in the world. So go ahead…use it at your wedding. 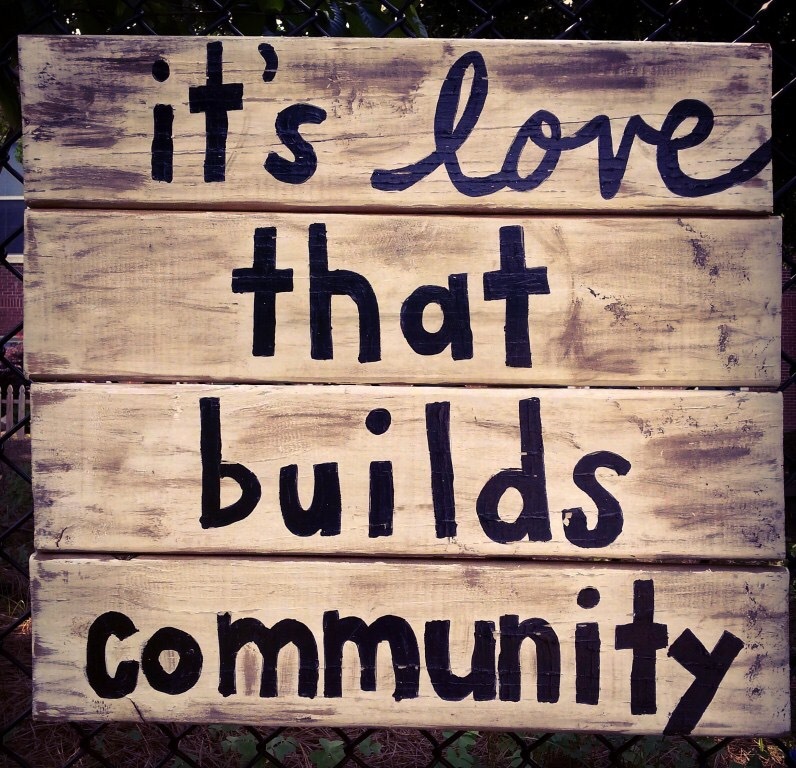 See how love roots you together to your loved one…but then also see how love roots us all together in community. See love’s impact on the world around you! And get ready for transformation. P (Prayer): Lord, love is simple, but hard. Help us to love. Amen. This entry was posted in Digging Daily and tagged Body, Christian, Community, Gifts, Love, Wedding. Bookmark the permalink.